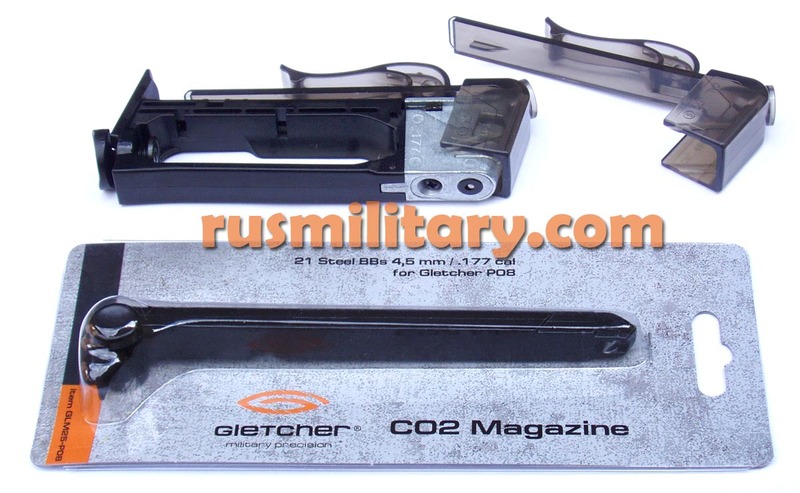 4.5mm (.177) Gletcher P08 LUGER / PARABELLUM are semi-automatic double action Co2 air pistols, which represents a legendary German-built 7.65mm P08 Parabellum developed by Georg Luger in 1898. 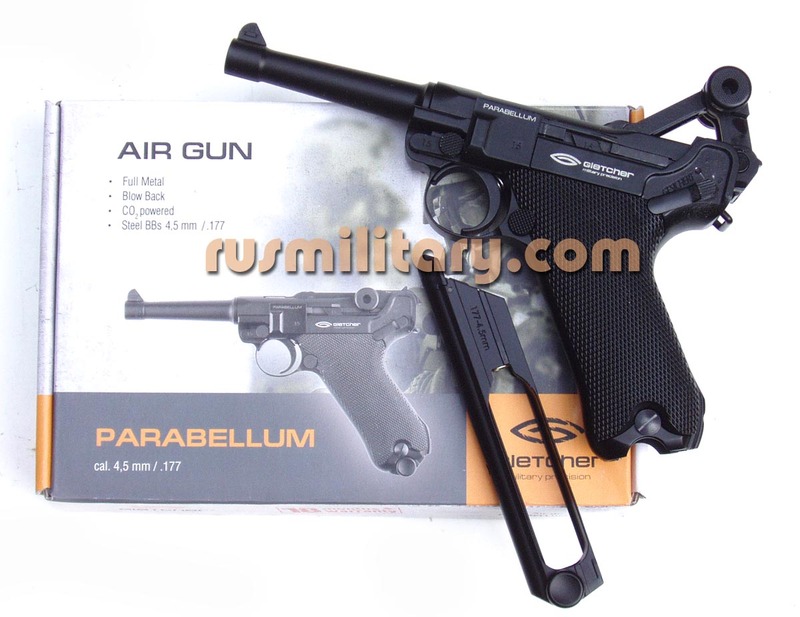 The Parabellum name comes from ancient Latin saying: "Si vis Pacem, Para bellum - if you want Peace, prepare for War". 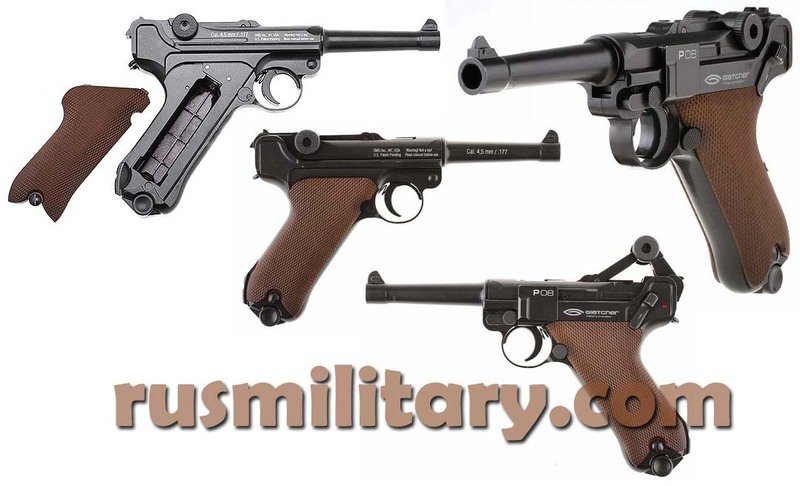 This airgun copy has an all-metal construction body (This is NOT a plastic-made Umarex NBB budget version !) and metal BBs (.177 Ball Bullets) are used a s bullets, which are fed directly from a detachable magazine. The power is 3 Joules and blow-back action gives it a good feel of recoil - very reallistic. NO LICENCE REQUIRED !